The field came down the stretch in the Breeders' Cup Mile (G. I). 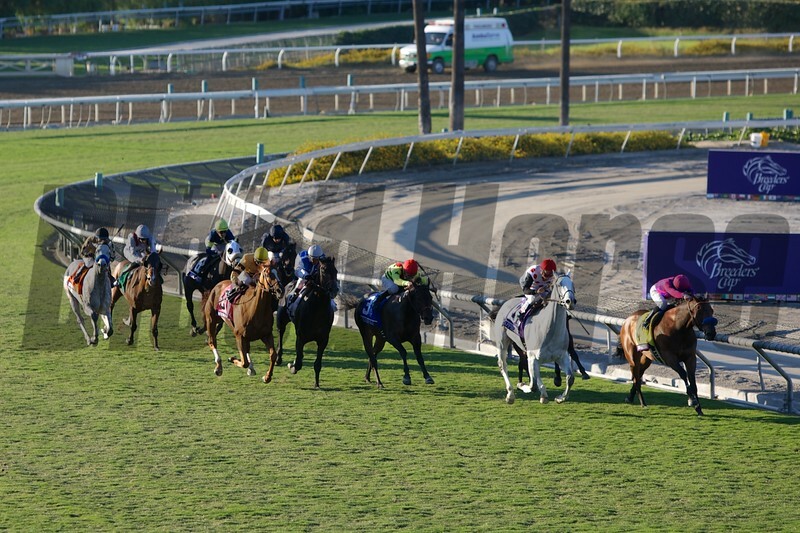 Wise Dan, with Jose Lezcano up (yellow cap) came from behind to win the race. Photo by Crawford Ifland.